Okay, so what is refraction? This is when any type of wave, such as water or light, is bent or turned as it passes through one medium to another. The result is that a new "M optical density is achieved. Refraction was a discovery made by Willebrord Snell and this discovery has given anglers a huge advantage when it comes to catching trout. What happens is that when light hits the water, its reflection slows down and then bends. This creates what is called a refraction window, which is what trout use to see the environment above the surface of the water. As an example, with refraction, if light enters water at a I 10-degree angle to the horizon it is bent as soon as it hits the water at an angle of about 48 degrees to the vertical axis. Therefore, if light enters under the 10 degrees to the horizon, a blind spot is created where the trout are unable to see the surface environment, as seen in this photo of the leaf on the water. Additionally, when light enters water above the 10 degrees to horizon, as it nears the vertical access, it bends less. Then, when light enters water coming directly above this mark, there is no bending whatsoever. Okay, let us break this down in laymen terms. If there were a bird flying directly over a trout looking for its dinner, if the water were calm, the trout would see this predator without any distortion at all. You see, whenever a two-dimensional cross-section of the trout's environment is being viewed, a 160-degree view above the water's surface would become compressed to a 96-degree conical window. The result is that there is tremendous distortion. To the trout, objects would now appear very wide and short but they would still be able to see predators such as birds or anglers above the water line. To understand how refraction works better, let us say you were standing outdoors on a beautiful, sunny day. As you look up to the sky directly above where you are standing, you would see what appeared to be a hole in the blue sky that seemed almost like a portal to the universe. This is exactly what a trout sees. As it looks up through the still water, there would appear to be a hole or portal where it can see the outside environment through the water's surface, which is the refractive window. When trout see a predator approaching, what happens? Obviously, they become very wary and often spooked. While some fish may scurry away as quickly as possible, the trout's first line of defense is to use its natural camouflage abilities. The trout will be very still, hoping the predator does not see it. However, if the predator comes too close, the trout will then use its quick burst of speed to get away. This is why anglers need to walk the waters very cautiously. If you keep your body low to the ground, you can create a blind spot for the trout. Remember, when light enters water at a 10-degree to horizon, the fish loses its ability to see clearly. If you like to trout fish from the short, you want to position yourself in a sitting or kneeling position rather than standing so you help create this blind spot, thus giving you an advantage. A good guideline to follow is that the lower to the ground or water possible, the less visible you are to the trout. Additionally, any features on the surface that are situated beyond the refractive window are unseen by the trout. The area that encircles the window is called the "mirror", which helps reflect light that comes up from the bottom of the lake, river, or stream and then bounces back up against the water's surface. As you can see in the picture to the right, this is something you could try yourself to see exactly how refraction works. Now if you can picture being a trout lying on the bottom of the lake, river, or stream, as you look up toward the surface to the refractive window, anything around the window would act as a reflection of the things lying below the surface of the water. For this reason, any surface environment that falls within the area outside of the refractive window is unseen by the trout. It is also important to understand that trout can see the reflection of partially or fully submerged things such as bugs or smaller fish coming toward them simply by using the mirror's reflection. Now, on the water's surface, between the window and mirror is a spectrum of light. What happens is that as the light is densely compressed, a thin band of iridescent colors is created. This band is called "Snell's Circle" and is the distinguishing factor between the refractive window and the mirror. Interestingly, many anglers believe that if bait is located within that circle, it cannot be seen by the trout due to the band of light. In fact, nothing could be further from the truth. The trout actually use this spectrum of light as a tool for enhancing the vision, thus seeing the food on the surface much better. Another fascinating note is that whenever the calmness of the water is broken by bugs and smaller fish, the break emanates a spectrum of light. 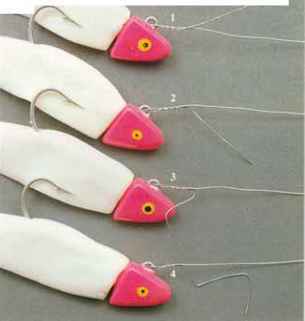 This then serves are an alarm or warning signal to the trout that something is on the water's surface, assisting the trout in finding surface food. What is the Refractive Window?